Slugline 1.2 — Slugline. Simply Screenwriting. It’s Christmas, Theo, it’s the time of miracles! Slugline 1.2 is available now on the App Store. This is a major performance and maintenance update — we changed everything, then made it look like we changed very little. The guts of Slugline have been completely reworked. The result of this major undertaking is dramatically better performance across the entire app, especially with long documents. Slugline should feel tuned up and streamlined, even if you’re writing The Hobbitar. If your screenplay has Fountain scene numbers, Slugline now recognizes them and prints them correctly. Slugline shows you that it’s recognized a Scene Number by displaying it in light gray as you write. Scene Numbers also appear in the Outline View. When you Preview or Print, they appear in the margins alongside your Scene Headings. Changing the on-screen size of your text is now much slicker. The zooming is smoother, with smaller increments. If you don’t like increments, you can pinch-zoom to any size you like using your trackpad (Magic or otherwise). And the Preview now matches the zoom size you choose for writing. We’ve added a TV Pilot Template! With act breaks, page breaks, and, well, we based it on the Breaking Bad pilot, so it has a lot of breaks. Find it under File → New From Template. Bold, underlined text now prints correctly. Creating a Note near the end of the document no longer causes horror. Dual Dialogue now previews and prints correctly even when the first dialogue element is longer than the second. Smoother transitions in and out of Preview. 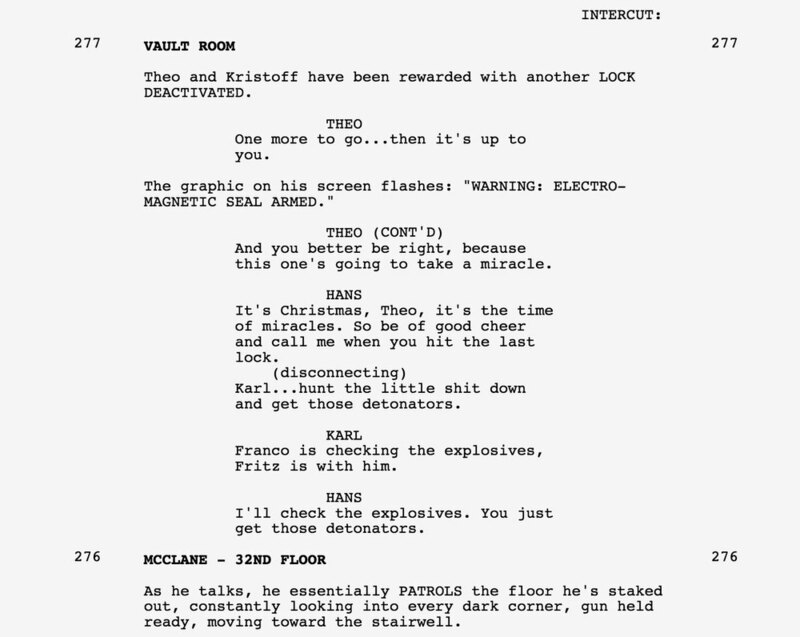 If you open a new screenplay while in full-screen mode, Slugline no longer bumps you out of full-screen mode. Home and End keys now do the things they say on them. Centered text works better. The End. This major update is just the beginning of yet more awesome stuff we have coming your way, so if you didn't get your Christmas wish in 1.2, please stick with us — we value your feedback, and we want the same things you do. Speaking of feedback, we are always grateful for your positive reviews on the App Store. Thanks for writing with Slugline!